The Parke County Courthouse is located at 116 West High Street, Rockville, IN 47872; phone: 765-569-5132. 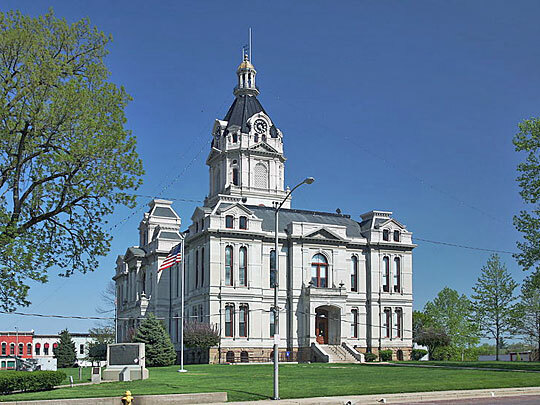 Photo: Parke County Indiana Courthouse, photographed by Daniel Schwen, 2008, en,wikipedia.org, accessed July, 2012, copyright: CC. Established in 1821, Parke County has seen 3 different county seats: Roseville, Armiesburg, and finally, the government was located at Rockville around 1825. The county is named for Benjamin Parke who served both as a U. S. District Judge and U. S. Congressman.